Martin Wood, construction manager at Titus Contracting Inc.
Titus Contracting continues to grow its ranks. We recently hired a new construction manager to join our Twin Cities remodeling company. Martin Wood has worked in the construction arena for over 15 years, and while attending the University of Minnesota, started and ran his own company. 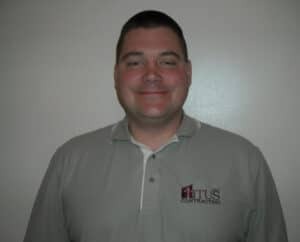 Please help us welcome Martin to the Titus Contracting family!